Alpvits brings a vast amount of knowledge to the table. We also want our clients to know their opinion matters. There is no fluff, and prices are very reasonable which is hard to find in these trying times. We also offer substantial price breaks for those that need larger amounts of work done. Alpvits offers quality website design services for business a significant boost and help you forge ahead in a highly competitive world. We illuminate the way that prompts forward looking web development through convincing content management i.e. CMS website development services. 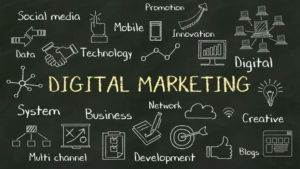 Alpvits offers digital marketing services including content strategy and execution, SEO, SEM, social media, web analytics and lead generation campaigns.